1. Polish the nail with two layers of white gel-polish. Cure between coats. 2. Paint spots of red gel-polish on the nail in random places. Do not cure. gel-polish to add petals. Cure. 4. 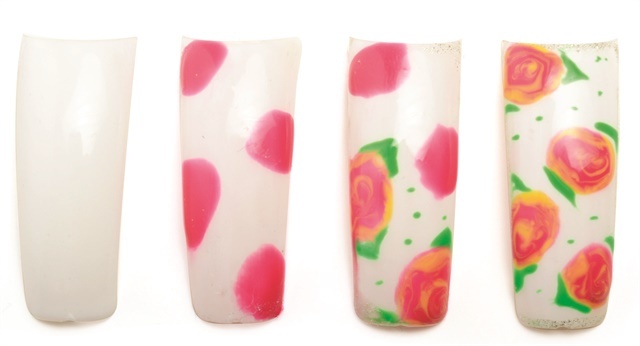 Repeat Step 3 to swirl the rest of the roses and add hints of sparkle with glitter gel-polish for a little shine. Cure. Seal the look with top coat and cure.